USE THE DISCOUNT CODE FOR 15% OFF the X3 Bar! Joining Ben on the podcast today is author, inventor and scientist Dr. John Jaquish. 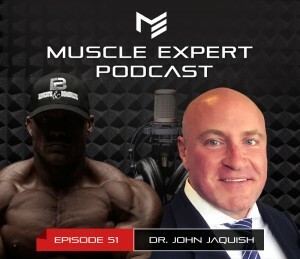 Dr Jaquish and Ben discuss in detail some of the new, cutting edge technologies Dr. Jaquish has studied and developed that are shifting the way people build muscle, trigger more endogenous growth hormone production and stimulate greater bone density. Be sure to listen to the end to get the full details on how YOU could receive a free pass to an upcoming Mi40 camp! ⇾ The little known limiting factor behind faster muscle growth. ⇾ Cortisol, fat loss and cardio the truth. The only two things to master for a muscular, lean and healthy physique. ⇾ Ronnie Coleman’s diet and Bpak’s Vegan days. 6:35 – The life changing news that shifted Dr. John’s trajectory forever. 10:10 – Bone compression and the minimum dose response needed to trigger bone growth in the hip. 17:40 – The side benefits of loading bones to trigger growth and how to implement it. 20:00 – Dense muscle and myofibrillar muscle growth. 21:05 – The Osteostrong Bone Density Protocol. 23:00 – The Vitamin D and other key nutrients for accelerating bone density. 24:00 – Reversing Osteoporosis and avoiding fatal falls by building stronger bones. 30:50 – Where your muscles are 7x stronger. The need for variable resistance for optimizing training at every point of the range of motion. 32:40 – What Louie Simmons used to get his athletes past sticking points. 41:10 – Why sprinters have higher growth hormone levels and gymnasts have better bone density. 44:30 – IFBB pros and bosu ball squats? 52:30 – Cortisol, fat loss and cardio. The keys to building muscular lean and healthy physique. 55:46 – The growth hormone and neurological benefits from instability training.